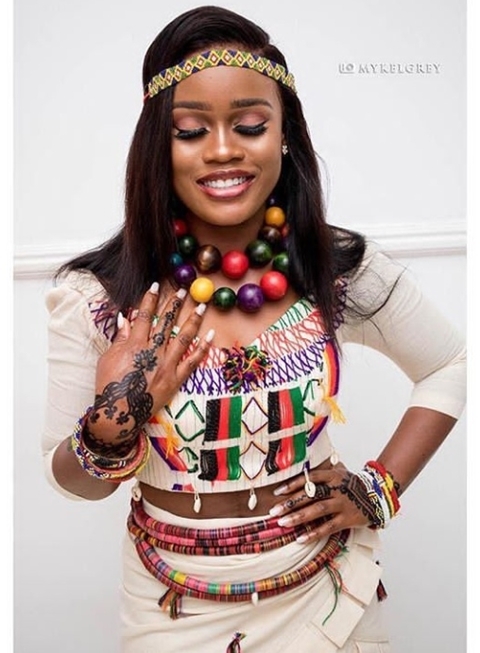 Former Big Brother Naija housemate, Cynthia Nwadiora, popularly known as Cee-C has been captured on camera as she wows in Fulani outfit. The reality television star who looks overwhelmingly beautiful and admirable in the outfit, stepped out for the movie premiere of Banky W's latest film "Up North" in Lagos on Sunday night. 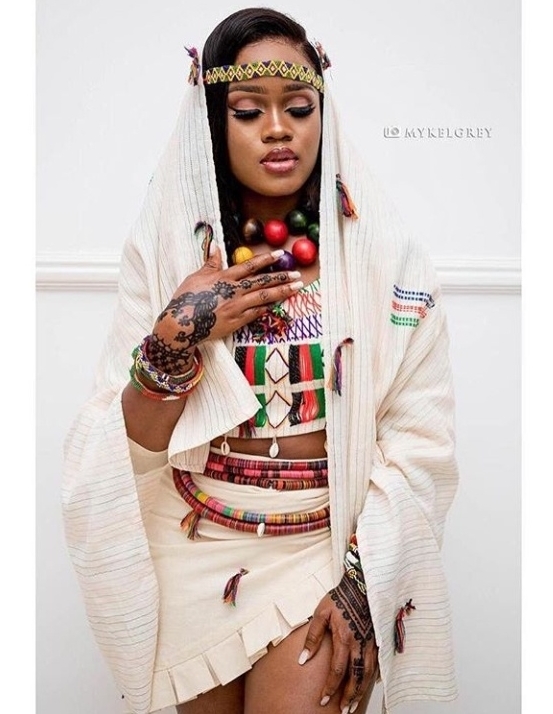 Cee-C who took to her Instagram page to share the photos, wrote: "North enough?? #upnorththefilm #showmeyournorth."